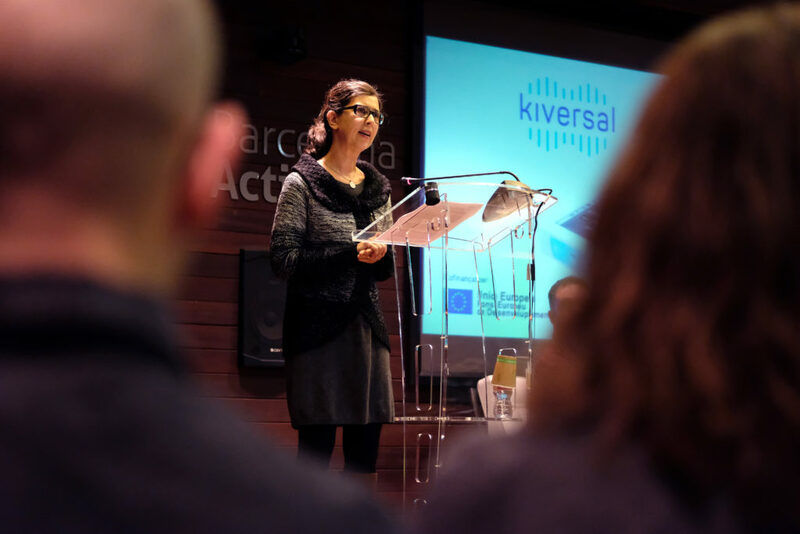 On Wednesday 16 January, Barcelona Activa inaugurated the new User Experience Lab (UXLab). Located at the Glòries Business Incubator, it allows SMEs and startups to test their products and services. 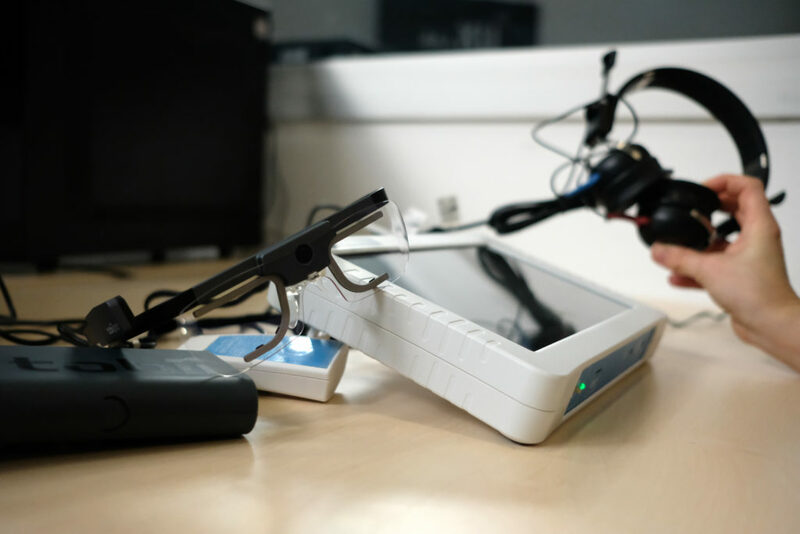 The usability centre was co-financed by the ERDF (European Regional Development Fund) and aims to anticipate the user experience with a certain product or service. In order to achieve these objectives, audiologists and hearing aid specialists took part in the test, completing a series of representative tasks involved in using the device and stating their opinion on its usability and accessibility (how easy or difficult they found using the navigation system), and if they would make any changes to the device’s design. “It was very important for us to be present during the test–not just the company founders, but part of our technical staff, too. The fact that the person in charge of designing the software and screen transitions was able to observe the testing and watch the users’ interaction with our product was key to directly identifying where improvements needed to be made and the types of changes needed,” stated Díez during her talk. 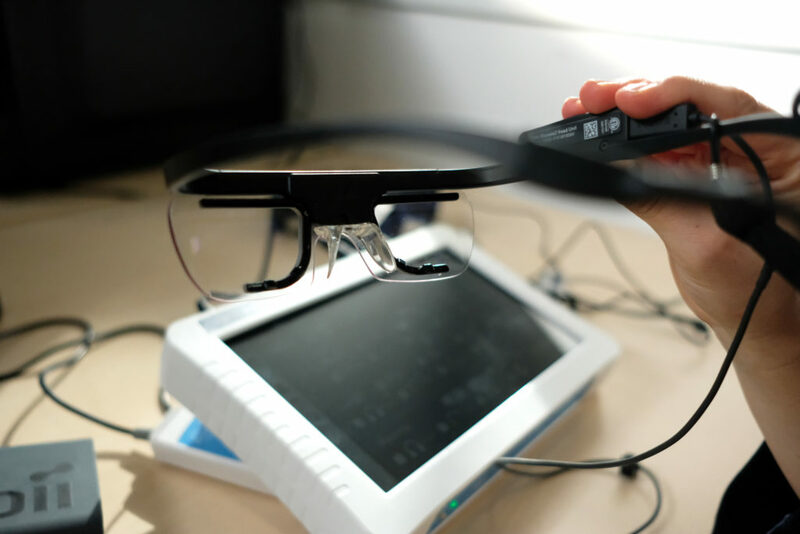 The Kiversal team was able to witness what was happening in the testing area from the control room, by means of a glass observation panel and a computer screen that was connected to the eye-tracking glasses worn by the test participants. This technology allowed the team to see exactly where the user was looking during each task, see what they were looking at, identify any problems they encountered, determine if the device was simple and clear enough to use without a user manual or how the user navigated through the audiometer interface, among other things. 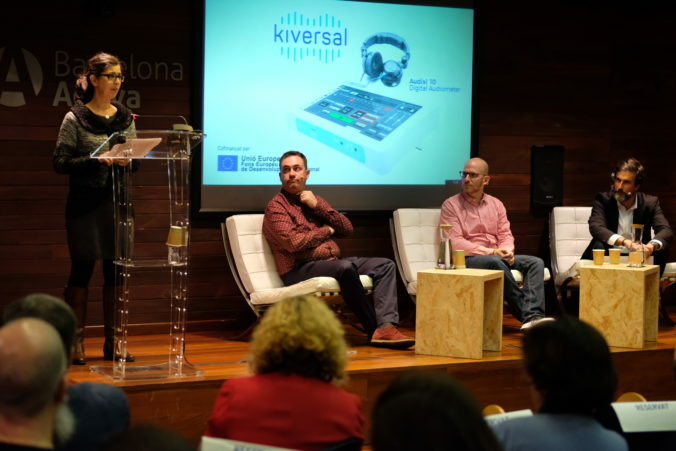 To conclude her talk, the Kiversal CFO highlighted the fact that UXLab will also play a role in assessing the usability of the company’s future medical devices before their launch.